Marietta Scientific, Inc. - EM Viz "You supply the data, we supply the view"
"You supply the data, we supply the view." EM-Viz can accept input from several different types of 3D Frequency Domain Codes. Version 1.0 of is now available. See our products page to see our current packages & pricing. If you would like to get a Demo version that allows you 60 Days use of the Full version, Please fill out the following form & submit it to go to the download page. 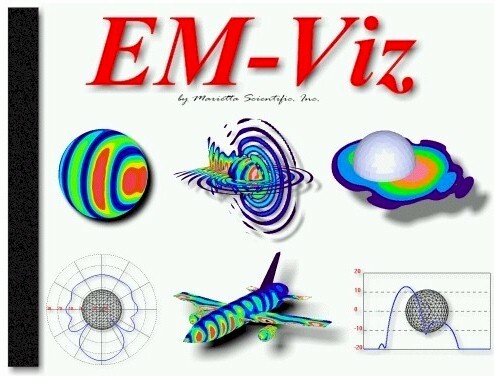 EM-Viz program, several input examples, reference manual and a tutorial.